I find bikes to be moving pieces of artwork, created and altered by their owner. The bike really becomes an expression of oneself. It’s always interesting to see a bike and it’s rider together because it often looks like those cartoons in which a dog takes on a similar appearance to the owner. As a whole spend a lot of time in transit every day, but unlike taking public transit or driving a car, when you are on a bike you directly interact with your environment. You really get to see where you are. You discover new shops, landmarks, parks, things you wouldn’t find if you are stuck in a vehicle. I consider it to be more of a journey than a simple change of position. I’m always trying to encourage my friends to ride. It’s one of those things that can double as entertainment as well as serve a utilitarian function. I find it much quicker than trying to build a schedule around public transit. Instead of having to wait for a bus, or transfer from one train to another, I can quickly get from point A to point B when I want to. 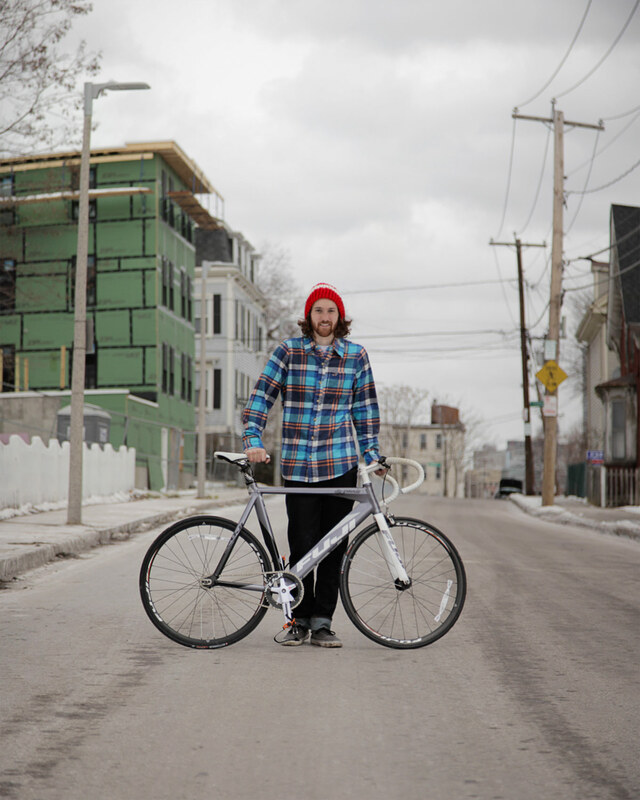 As a graphic designer and illustrator, Aaron makes a lot of bike-themed work. Check out his neat designs on his website.